If you asked me –“What is the worst thing we can do in the weight loss battle?” My answer would be – “to think we can lose weight by skipping meals”. In the last few days I have met a couple of clients who said that they were eating less and still putting on weight. When I asked them what they meant by eating less, they said that, they were not eating breakfast and only eating two meals a day instead of three, so how was it that they were still putting on weight. Similarly there are many who eat only breakfast and dinner and avoid lunch by just having a juice or fruit bowl instead of the meal. Some avoid both breakfast and lunch and eat only dinner, by having coffee, tea, milk and some fruits the whole day. A few eat breakfast and lunch normally and have only soup and salad or a bowl of boiled vegetables for dinner. Those who skip breakfast will eventually see their weight going up instead of going down. The weight gain may be gradual but will easily go beyond 80kgs and even above 100kgs. The reason is that they will usually eat a normal quantity of food for lunch and may be even dinner. So they will think they are doing well and going to lose as they are eating only two normal meals. The great danger lies between 4-7pm. They will have strong cravings to eat either sweet foods like chocolate, pastries or Indian sweets at this time or they will indulge in chips, fried snacks like bugia (mixture, muruku, etc.) or chaat. Some will eat food like noodles or other high carbohydrate food. Those who avoid this snacking will then indulge in some sweet dish or item after both lunch and dinner. 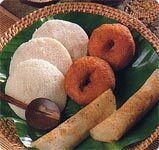 All these indulgences are very high calorie compared to a breakfast food like idlis, bread and egg or cereal and milk. Also they are not happening in the beginning of the day but towards the later half of the day. So the body tends to store these calories instead of burning them. You will surely gain weight. Skipping lunch also has a very similar effect. Usually you are very hungry by 5 or 6pm and tend to eat some fried snacks or chaat. Those who manage to avoid this snacking will either over eat their dinner or crave to eat sweets after dinner. All these extra foods will be stored as fat at night. Those skipping dinner or only having a soup or glass of milk or fruits for dinner will initially see a quick weight loss for the first 15-20 days. Similarly those who have only juice or milk or fruits the whole day and just one meal at night will see an initial weight loss which is very exciting but after a few weeks the weight loss will stop. This is because the basal metabolic rate (BMR) or the ticking of the internal organs of your body slows down to cope with the low calorie intake. After a few days of stagnant weight then we will see the weight steadily rising because the BMR or the calorie burning capacity of the body has gone down. Therefore it is very, very important to diet the right way. We must eat healthy, carbohydrate plus protein balanced meals three times a day and completely avoid eating all fried food and all sweets, i.e. all snacks, starters and all desserts. If we follow this strictly we can lose 8-10kgs in 3-4 months.